CHERYL LU-LIEN TAN is the New York–based author of A Tiger in the Kitchen: A Memoir of Food and Family. A native of Singapore, she is working on her second book, a novel. A former staff writer at the Wall Street Journal, her work has also appeared in the New York Times and the Washington Post, among other publications. She has been an artist in residence at Yaddo and the Djerassi Resident Artists Program. She is a contributor to The Marijuana Chronicles and the editor of Singapore Noir. Suchen Christine Lim’s story “Mei Kwei, I Love You” has been named a finalist for the Private Eye Writers of America Shamus Award for Best P.I. Short Story! Singapore Noir has been nominated for a Popular Bookstore Reader’s Choice Award! For much of the West, the narrative of Singapore—a modern Southeast Asian city-state perched on an island on the tip of the Malay Peninsula—has been marked largely by its government’s strict laws and unwavering enforcement of them . . . As much as I understand these outside viewpoints, I have always lamented that the quirky and dark complexities of my native country’s culture rarely seem to make it past its borders . . . Beneath its sparkling veneer is a country teeming with shadows . . . And its stories remain. The rich stories that attracted literary lions W. Somerset Maugham and Rudyard Kipling to hold court at the Raffles Hotel (where the Singapore Sling was created) are still sprinkled throughout its neighborhoods. And in the following pages, you’ll get the chance to discover some of them . . .
You’ll find stories from some of the best contemporary writers in Singapore—three of them winners of the Singapore Literature Prize, essentially the country’s Pulitzer: Simon Tay, writing as Donald Tee Quee Ho, tells the story of a hard-boiled detective who inadvertently wends his way into the underbelly of organized crime, Colin Cheong shows us a surprising side to the country’s ubiquitous cheerful ‘taxi uncle,’ while Suchen Christine Lim spins a wistful tale of a Chinese temple medium whose past resurges to haunt her . . .
Click here to read a post by contributor Monica Bhida on gambling food in Singapore (along with a recipe for kimchi fried rice) at Spicebox Travels. Read interviews with editor Cheryl Lu-Lien Tan at Deborah Kalb Books, the Baltimore Sun, Drinking Diaries, Omnivoracious, the New York Chapter of the Asian American Journalists Association, and Asymptote Journal. Check out these event recaps at the Baltimore Post-Examiner and Book Bites. Listen to an interview with Cheryl Lu-Lien Tan at After Hours with Rick Kogan (WGN Radio, Chicago). “Smile, Singapore” by Colin Cheong was chosen as a story of the week at Storyville. Read an interview with contributor Monica Bhida at The Kojo Nnamdi Show. 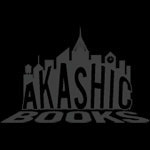 Click here to listen to a feature on Akashic’s Noir Series, with a focus on Singapore Noir, at WVXU (Cincinnati).